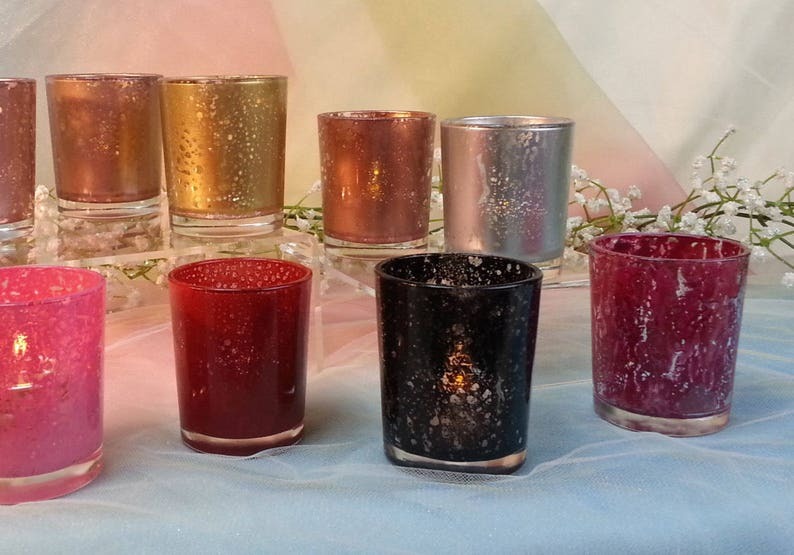 Custom designed Rose Mercury ~ Aluminum Mercury ~ Gold Mercury ~ Rose Gold Mercury ~ Black Mercury ~ Copper Mercury ~ Berry Pink Mercury ~ Red Mercury ~ Burgundy Mercury votive candle holders. They are beautiful & stunning. THIS LISTING IS ONLY GOOD FOR A FEW VOTIVES. SAMPLER PACK - Mix and Match and test all colors.